Mothers who breathe the kind of pollution emitted by vehicles, coal power plants and factories are significantly likelier to give birth to underweight children than mothers living in less polluted areas, according to international findings published Wednesday, February 6. The study, the largest of its kind ever performed, analyzed data collected from more than 3 million births in nine nations at 14 sites in North America, South America, Europe, Asia, and Australia. Focusing on children born on-time in the mid-1990s to mid-2000s, they found that, worldwide, the greater the air pollution, the less babies tend to weigh at birth. Low birth weight (a weight below 2500 grams or 5.5 pounds) is associated with serious health consequences, including increased risk of postnatal morbidity and mortality and chronic health problems in later life. 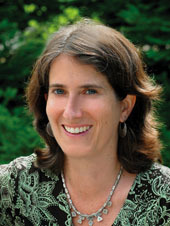 In the study, published in the journal Environmental Health Perspectives, the team assessed data collected from research centers in the International Collaboration on Air Pollution and Pregnancy Outcomes, an international research collaborative established in 2007 to study the effects of pollution on pregnancy outcomes. Professor Rachel Morello-Frosch, along with UC Berkeley researcher Bill Jesdale, analyzed 1.7 million California births for the study. The research showed that infants' risk of having a low birth weight rose by 3 percent with every increase of 10 micrograms per cubic meter in inhalable coarse particles. Overall, with each increase, infants were born 3 grams lighter. When the study factored in individual variables, such as the mother's age and tobacco use, the average weight drop tripled to 9 grams. Air pollution may have a small impact on an individual mother and her child. But in a large population, it could lead to a significant increase in the number of low-birth-weight babies, Morello-Frosch said. The onus is on policymakers, not on mothers, to improve conditions, researchers said. “This really speaks to the need for regulatory action to ensure that air pollution levels are consistently regulated at levels that protect public health and, in particular, protect prenatal and perinatal health,” Morello-Frosch said. Whether these pregnancy exposures can have effects later in life, is currently under investigation through an epidemiological follow-up of some of the children included in these studies.